A WORD TO TODAY’S EVANGELICALS – TO GO TO HEAVEN, YOU MUST BE BORN AGAIN! We have all seen Clubs or Businesses with signs upon their doors, telling everyone their conditions for entrance. Some demand you to be a member before you enter, others demand you meet their dress code, etc. That is what John 3 is. It is the Lord’s Sign on Heaven’s Door telling every person His qualifications for entrance. There is just one condition, not two but one. It is not complicated, the Lord has made it simple enough that even a little child can understand it and meet its single condition. YOU MUST BE BORN AGAIN!!! We live in a nation that is increasingly resistant to the thought that the Lord would have any qualifications for going to heaven. It is amazing to watch as our nation becomes increasingly wicked, we are at the same time becoming increasingly religious and self-righteous. Many if not most believe that they deserve to go to heaven just as they are. The Preaching of the Cross is Offensive to them. [Galatians 5:11] Nicodemus, the man in our story was probably such a man, as a Pharisee he had spent his life trying to be good enough and religious enough to earn heaven, and yet he had watched sinners and publicans, people who were not considered among the good people and who had no religious affiliations whatsoever, just simply and humbly come to Jesus and walk away with the peace of heart and the joy that he had failed to find in his strict religion. This must of driven him near insane to watch Jesus give to sinners what his religion failed to give him, how could this be, he must of asked himself, until one night he made up his mind that he had to find out for himself about this healer and teacher, named Jesus. He sets out to find and question Jesus and here is where our story begins. Every person who has lived since that fateful night owes a debt of gratitude to Nicodemus for being courageous enough to come to Jesus for answers to his questions. These are the same questions we have all had. Jesus’ answer is the Truth we all must learn and heed if we too expect to go to heaven one day. It matters not what others may think and teach about how a person can go to heaven and miss @#! *% , it only matters what Jesus says. 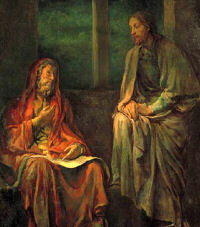 Jesus is telling Nicodemus, that what He is telling him is a MUST and a MUST for all. We would do well to make sure we understand the teaching of the New Birth that Jesus says that every man must have to qualify for entrance into heaven. Verse One tells us that “There was a MAN… named Nicodemus…” Let’s study this man. That tells us that he was a member of the Jewish Sanhedrin, which was the highest court in the nation in Jesus’ day. He would be like one of our Supreme Court Justice’s today. Society thinks that if a man like Nicodemus was qualified to be a member of such a high court in the eyes of man, then surely he would be good enough for the Lord to allow him into heaven one day. They were mistaken, like millions of others since have been. This was the most religious sect in Israel in Jesus’ day. They were the Separated Ones; they were so strict that Jesus said they “…strained at a gnat…” [Matthew 23:24] Surely anyone who was so committed to their faith and religious teachings would qualify for entrance into heaven. Again, all who so think are mistaken according to Jesus’ teaching to Nicodemus. According to secular history Nicodemus was not only one of the most Religious and Respectable men of his day, but he was also one of the richest men in Jerusalem. Surely such an accomplished man that had accomplished and acquired so much was fit for heaven. That resume never impressed Jesus within the least. When next to Jesus, Nicodemus must have felt like a very small and sinful man. Each day of his life he had been tireless in his efforts to do enough to earn God’s favor, and each night he must of wondered if he had done anything to have undone all the good that he had done. Now he knows even all of his goodness was no better than his badness. Nicodemus was now Resolved no longer to linger, no longer to live in doubt, no longer to live without the peace of God in his soul, he would come to Jesus and get it settled. That is the attitude and the place that every man must come to if he is to have any sure hope of entering into Heaven one day. Today there are as many misconceptions as they are churches. If you would stand out in front of several different Churches on a Sunday Morning and ask the people as they left, what it means to be born again to them, you would be shocked and saddened at all the different answers that you would get and all of the misconceptions of the people. Even though they are many misconceptions they all could be put under two categories. How To Be and Have To Be. That was really what confused Nicodemus. There are many misconceptions on How to Be. The following are just a few of them. Nicodemus thought Jesus was talking about Reformation, starting all over again. Jesus tells Nicodemus “That which is born of the flesh is flesh…” [John3:6] In other words Jesus is telling him and us, that we all have a fallen, sinful nature,and if we could wipe from our slate every sin we had ever committed and start all over with a spotless record we would within 24 hours already have sinned again and be back to where we started. That is the frustration of everyone who thinks reformation is the way to gain heaven. We cannot even stay on a diet without breaking it, how do they expect to live a perfect life. Many have taken Jesus’ mention of Water in verse 5 to mean Water Baptism as the means by which you enter into the New Birth. It is evident from the context of Jesus’ teaching that He is speaking of the Physical Birth just as He was speaking of the Spiritual Birth when He says ,”…that which is born of the Spirit is spirit.” When I was saved I had a Damascus Road experience. I had a dramatic and an immediate change in my heart and mind. It was two weeks later that I was baptized. By the time I was baptized I had already had two weeks to enjoy Jesus and my new life. Because of that, any time that I hear someone teach that you have to be baptized to be saved , I know that they are confused and deceived and do not know the first thing about truly being BORN AGAIN themselves. Many in the Church World believe salvation is something that is the result of the Church or a Priest confirming upon them. Jesus refutes that in [John 1:13] when He says to us How a man is NOT Born Again. Listen to what He says. ”Who were born, NOT of blood, (I.e. your birth into your particular family), nor of the will of the flesh, (I.e. no amount of good works from your own energies), nor of the will of man, (no man can do anything to save you) but of God.” [1Timothy 2:5] tells us that Jesus is the ONLY Mediator between God and man. We are plainly taught from this verse that the New Birth Experience is a work of God, a work from above. If Jesus did not do it, you did not get it, it’s that plain and simple. Don’t put your faith in a man or a church or a ritual. Do not listen to anyone who teaches such, they are the Blind Leading the Blind!! Many will try to tell you that they are a Christian but have never been Born Again nor do they have to be to be a Christian. I heard a lady tell the late Dr. Jerry Falwell that on a talk show one time when he was talking about the Must of the New Birth to be a Christian. She told Dr. Falwell that she was a Catholic and a Christian and she had never been Born Again. I forget what the exact response was to the lady, but my response to her and all like her is; you may be a Catholic or even a Baptist, but if you have never been Born Again you are NOT a Christian. YOU MUST BE BORN AGAIN!! It is interesting that Jesus is not talking to a bad man, but to the best man of His day. It was not the sinners and harlots that put Jesus on the Cross, but the Religious people that refused to accept Jesus and his teaching that religion and self-righteousness could not save you. YOU MUST BE BORN AGAIN!! Why? That leads me to my third point. To any and all who have the misconception that they need not be born again, Jesus gives us an emphatic MUST!! Again, some would ask why? Why Must I be Born Again? They would say; “Why must I be Born Again, I belong to such and such church , I have done such and such, I have lived a good life“, and on and on they go. There are several reasons that Scriptures give us. All of these Scriptures and more teach us that one day the Lord will deliver all who have been Born Again from the very presence of sin and its heartbreaking consequences. He will protect heaven from the defilement of sin and unregenerate sinners that we may never again have to suffer from the evils of sin and sinners. America’s Constitution makes it the Law of the Land, that anyone who would be President must be a person who has been born in the United States. It doesn’t make any difference that a person who was not born here may be a better person and has done more good than a person who was born here, the Law says, you Must Be Born In The United States to be eligible to hold the office of the President. It is the same way with going to heaven, someone may be a good husband and father, an asset to their community, but no matter how good he or she is, the law is settled, and all his good works cannot override the Law of God. YOU MUST BE BORN AGAIN! The bottom line is that we could give reason after reason why you must be born again to go to heaven, but it really just comes down to this one reason; JESUS SAID SO!! Jesus knew that this Miraculous experience was also a Mysterious experience. (If it were not of God, but of man, there would be no mystery to it.) Let me say this, if your salvation experience was and is not still a mysterious experience to you, you probably have never been born again. If it is of God, then all you can say about it is God did it. But to help us better grasp this mystery Jesus uses two other mysterious experiences that we all have experienced and we have no trouble in accepting the reality of them by faith. They are a Birth and a Breeze. A birth is a definite experience which happens in a moment of time, and so is it with the New Birth experience. Years after Paul’s salvation experience he stood before King Agrippa and gave him his testimony of his salvation experience. Even years later he could tell you where he was at, [Acts 26:12…as I went to Damascus…] what time of day it was, [Acts 26:13…at midday…] and what he was doing [Acts 26:12 …with authority and commission from the chief priests] when the Lord saved him. It was a definite experience to him and it is to all. It is like a birth. I have heard people, when asked about when they were saved say that they have always been saved. The fact is no one has ever always been saved, there has to have been a Definite time when they had a Definite Born Again Experience with Jesus. 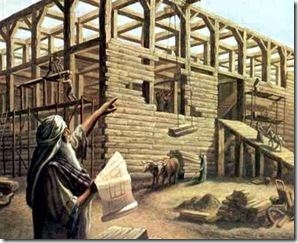 Paul shows us that the New Birth makes a dramatic change in one’s life. Could there be anything more dramatic than a birth? Every time salvation is spoken of it is described in terms as a dramatic experience. From Darkness to Light, from Death to Life, from the Kingdom of Darkness to the Kingdom of His dear Son, etc. Someone has rightly said; “If your religion has not changed you then you need to change your religion.” Whom the Lord chooses, He changes, and drastically so. 3. The New Birth, Like The Physical Birth, Brings One Into a Whole New World. One moment in a dark womb and the next you have come into a brand new world. One in which you see things you never seen before, you are aware of things that you were never aware of before. In the New Birth Jesus becomes real to you. The Bible comes alive to you. You see things in a different light than you have ever seen them before. Too many people who claim to be Christians still see things as they have always seen them. Jesus is still just a historical figure to them and not one with whom you have an intimate relationship with. There is a new world you live in if you have truly been born again. The wind is mysterious in its workings. We can be setting at ease under a shade tree on a warm summer day, with not a care in the world, then suddenly and just as mysteriously the wind begins to blow , and then we are in a storm with our comfort upset and the whole situation changed. And you say, “were did that come from?” That is the way the Holy Spirit’s work of conviction and conversion is. One moment there is no thought or care about your sin, nor your soul, and then all of a sudden the convicting winds of the Holy Spirit sweeps over your soul and your comfort is disturbed and your whole world is changed. When the day before you had no thoughts of Jesus and salvation, now that consumes you totally. Also a wind can come in the form of a tornado and move down a street and touch every house and leave one untouched. I have seen that very thing happen again and again in a church service, where two people are setting in the same pew under the same sermon, one is convicted by the Holy Spirit and is brought to repentance and faith in Jesus, the man seated next to him remains untouched and unmoved, and leaves lost and care free. That is the unexplainable mystery of the sovereign work of God in salvation. 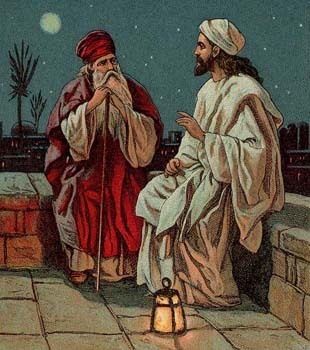 Jesus next spoke to Nicodemus about the Method of the New Birth. Jesus tells us in these verses about His part and our part in the New Birth. 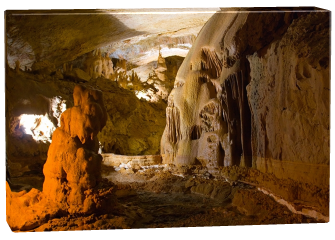 Jesus used a well-known historical event in the life of the Nation of Israel to illustrate the place His Crucifixion would play in the New Birth experience. Not wanting to die, the people went to Moses, and asked him to go before the Lord for them and to plead with the Lord, that He would give them a way that they could be forgiven and saved from a sure death for their sins. Moses goes before the Lord and the Lord gives them His Plan, only One Plan for their salvation. 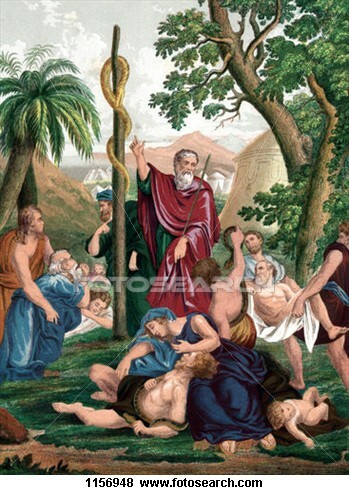 Moses was to make a serpent of bronze, and put it upon a pole, and place it in the center of the camp, and when anyone was bitten by a deadly snake, if they would just Look to the serpent he would live. 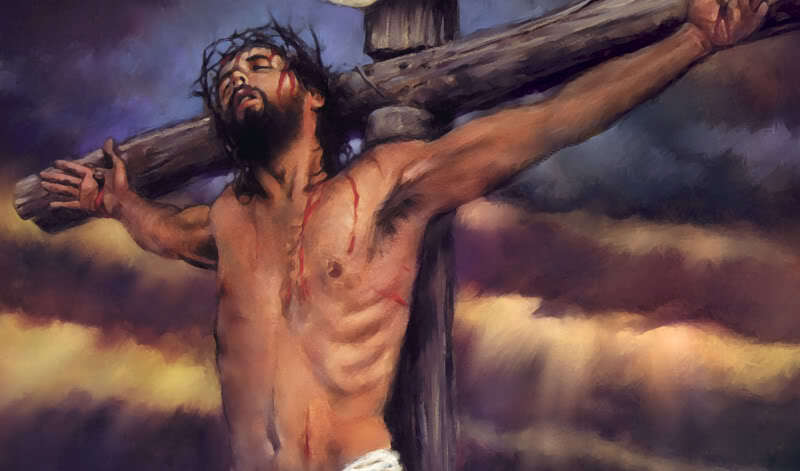 This was a type of Jesus dying upon the Cross and shedding His Blood to pay for our sins. It was a simple and single plan. But man now has his part to do. Moses told the people that all they had to do was to simply BELIEVE. Believe, no matter how strange it may seem how that just looking to the snake on a pole could save them from a sure death, that was God’s Only Plan of Salvation, and everyone had to believe it, rely upon it, and act upon the Lord’s instructions to be saved. You could take the Lord at His Word and look and live or doubt and die. Our old man has such a love for sin it is difficult to turn from it; even though we know to hold onto it means a sure eternity in @#!*% . No one likes to be told they are wrong. Even harder for a man is to tell others (even himself) he was wrong. He will shun putting himself in that position, yet that is the correction he takes and confession he makes if he comes to Christ for salvation. Our own sinful nature makes Grace seem too good to be true. Many think that surely there must be more they must do than to simple Believe in Jesus. That doubt is hard for many people to overcome. Then there is the Blinding work of Satan that must be overcome. Satan has imposed a spiritual blindness upon men, making it difficult for many to see that Jesus is God in the flesh and that in Him is salvation if we will but simply believe. [2Corinthians 4:3, 4] That is difficult for many to see and to accept. Jesus doesn’t finish His teaching to Nicodemus without telling him of the Marks that a New Born Soul bears. Jesus names two identifying marks of a New Born Soul. The first evidence that a person has been Born Again will be a new lifestyle. It is not enough to stop our evil; if one is really saved they will show it by a lifestyle that is consistent with the Scriptures. The Bible becomes the plumb line we use to keep our lives straight with the Lord. A truly Born Again Soul will feel deeply about the Lord’s Truth and Sin. We HATE every evil way and we are eager to take our stand alongside of truth. Our lives are characterized by a New Zeal, a New Passion. We are passionate about Our Faith. The Born Again hold strong feelings about sin and evil. We realize it put Jesus on the Cross. Like the great men and women of the Bible, we also who have been Born Again are proud and eager to come to the side of Truth and Righteousness. A New Born Soul is marked by a New Practice, no longer is he ruled by evil, but by the Truth of The Word of God. With ever truly Born Again Christian there is a B.C. Life and an A.C. life, a life Before Christ and a new life After Coming to Christ and being Born Again. The old saying of, Born once, Die twice, Born twice, Die once is The Gospel Truth. Every man has his “COME TO JESUS” moment in their life, Nicodemus had his, and now you must face yours. Have you truly been Born Again? If not, will you be so now? If not now, what do you think your end will be? There is no benefit in refusing Jesus. There is Death and Judgment coming for all of us. All the things that you are refusing Jesus over will be your damnation then. YOU MUST BE BORN AGAIN, and there is no better time than the present. If you know that you have never been born again, will you do your part? With simple child-like faith come to Jesus and ask Him to forgive you and to come into your heart and save you. 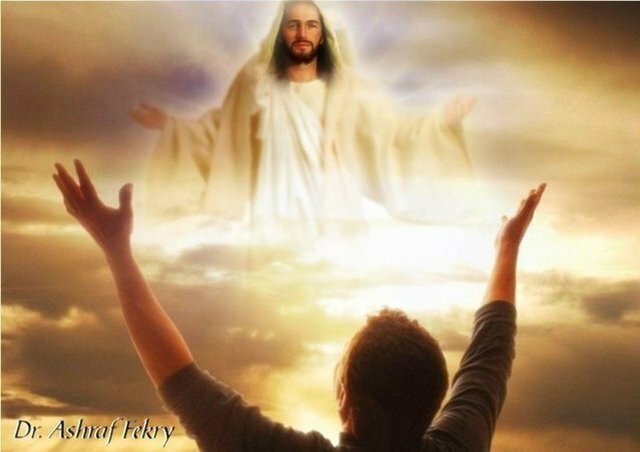 [Romans 10:13] tells us that; “For whosoever shall call upon the name of the Lord shall be saved.” If you will but call, He will save you. You can be Born Again right where you are at. Jesus has done all He can do until you call upon Him!! This entry was posted in Christian Living In Todays World, CHURCH LEADERSHIP, Comments On Crucial Current Issues, ETERNITY, FAITH, FALSE DOCTRINE, FAMOUS QUOTES, HEAVEN, JESUS, JUDGMENT, PASTORS, PRAYER, REVIVAL, SALVATION, SERMONS, SIN, THE BIBLE, THE CHURCH, THE CROSS of CALVARY. Bookmark the permalink. 1 Response to A WORD TO TODAY’S EVANGELICALS – TO GO TO HEAVEN, YOU MUST BE BORN AGAIN! You did a great job of explaining the “Born-Again” experience Pastor Jack Woodard. Great Job in Jesus Christ our Lord!